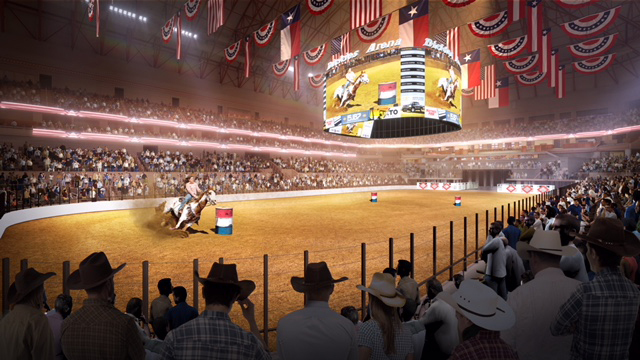 Trail Drive Management Corp. (TDMC) released plans to install a complete video display network at Dickies Arena, a 14,000 seat, spectacular, multi-purpose venue located adjacent to the Will Rogers Memorial Center campus in Fort Worth, Texas. TDMC will partner with ANC to design and install a new center-hung display, fascia ribbon boards, and courtside displays throughout the venue. The display will be the second largest continuous display featuring 360-degree playback as one canvas in the United States. 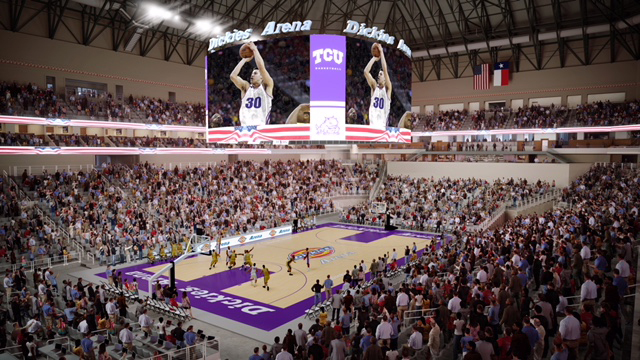 “Dickies Arena will bring quality entertainment to Fort Worth, and our video displays will help create an immersive environment for a wide variety of events,” said Matt Homan, president and general manager of TDMC. The center-hung display will weigh twelve times more than a Chevrolet Silverado. Combined, and the boards will feature twenty-one times more pixels than the number of people living in Fort Worth. 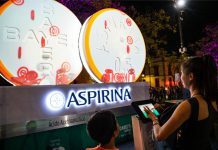 The displays will be seamlessly synchronized by ANC’s award-winning vSOFT™ operating system. The new video network includes a rounded display that will enhance the viewing experience with a larger canvas for content, stats, video, and animations. 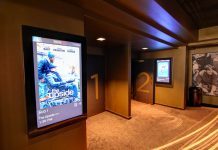 The main video display, which is made up of four 6-milimeter displays measuring 25.2 feet high-by-37.8 feet wide seamlessly wraps into four 6-milimeter corner displays. Through ANC’s vSOFT operating system, Dickies Arena can enable continuous playback across the entire display network, allowing for stand out moments of exclusivity and other dramatic features. When used in the full layout, content can extend 180 feet around the full circumference of the board. Additionally, two 4-milimeter boards measuring 10.08 feet high-by-35.28 feet wide have been placed inside the center video board on the east and west sides. These boards will combine live video and replays with advanced statistics, creating an unparalleled view for lower bowl seats and premium guests at Dickies Arena. A 360-degree, 16-milimeter fascia ribbon board will wrap the upper bowl, supplying fans with statistics and scores and maximizing revenue by allowing dynamic advertisements. 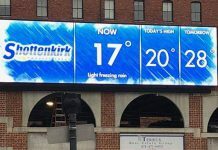 A second set of fascia displays that will run alongside the sidelines measuring 233.49 feet wide-by-2.5 feet high will also feature the tight 16-milimeter display. Finally four courtside tables featuring a stunning 4-milimeter product will be used to create the courtside scoring table LED. The 37.8 feet wide-by-2.5 feet high tables will be controlled using the vSOFT technology, ensuring that all boards will feature beautiful, synchronized content. The displays will feature Mitsubishi Electric Power Products, Inc.’s Diamond Vision System Division XL Series featuring Real Black® technology. ANC’s designers and engineers have worked closely with the arena on customizing the displays to integrate seamlessly with the overall look of the arena. ANC will also work with Dickies Arena to operate the displays during live events, while ANC Studios creates engaging content for the display system. Dickies Arena will bring a wide variety of programming to Fort Worth, including concerts, family shows, sporting events, community events, and will be the new home to the Fort Worth Stock Show rodeo performances. The $540 million project is on schedule for completion in November 2019, and it will complement the current Will Rogers Memorial Coliseum, which will continue to serve as a major equestrian show arena.